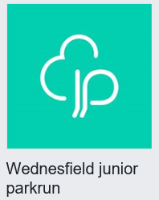 Wednesfield junior parkrun is a 2k run for juniors only (4-14 year olds). If you are not a junior please try one of our weekly Saturday parkrun events instead. Wednesfield junior parkrun is a fun, free event organised by volunteers for the benefit of everyone. To make the event as safe as possible, participants, spectators and volunteers are asked to take note of the following rules and guidelines shown on our website. The course is in Wednesfield Park, Wolverhampton. The course is 2000m (2K) long. This has been accurately measured by us with a professional measuring wheel. The course is run on a mixture of tarmac paths and grass. Some sections of the course may accumulate mud, leaves and puddles after rain. Marshals will be located along the course. The course will be marshalled so that juniors will be in sight of a marshal at all times. The aim is to have fun. Please come along and join in whatever your pace. Please consider helping the event by volunteering - this event survives only because of your generosity. Please visit the volunteer page on our website for more information. Its FREE. But please register before your first run. Only ever register with parkrun once. Don't forget to bring a printed copy of your barcode (request a reminder). Please visit our website for more information.